Right before it announces its new device in the Galaxy S line, Samsung always hypes things up by unveiling bits and pieces of the phone's internals. Late last year, we learned that the Exynos 8 Octa was ready for mass production and for inclusion in the newest S flagship. Today, Samsung has let loose a few more details regarding the actual process of building this new processor. Its predecessor, the Exynos 7 Octa, was the industry's first chip built on a 14nm FinFET logic process and Samsung is reiterating this year with the second generation of this technology. Thanks to optimizations and transistor structure improvements, the new 14nm FinFET LPP (Low-Power Plus) process delivers up to 15% increase in speed while consuming 15% less power compared to the previous 14nm FinFET LPE (Low-Power Early) process. It also enables the technology to be better scaled, which Samsung will need because it won't just be using it for its own Exynos 8 Octa chip, but also Qualcomm's Snapdragon 820. That might come as a surprise, but Samsung will essentially be manufacturing its competitor's chip. The new FinFET process must be that good. We already knew the 820 uses a 14nm FinFET chip, but Qualcomm hadn't clarified who was building it in its multiple press releases or at its CES conference. This news lends credence to the rumors that mentioned a possible return of the Snapdragon processor in the Galaxy S7 line. Previously, Samsung had been making regional variants of its S flagships with either Exynos or Qualcomm processors, but it completely skipped the Snapdragon option in the S6 likely due to overheating and performance issues with the Snapdragon 810. 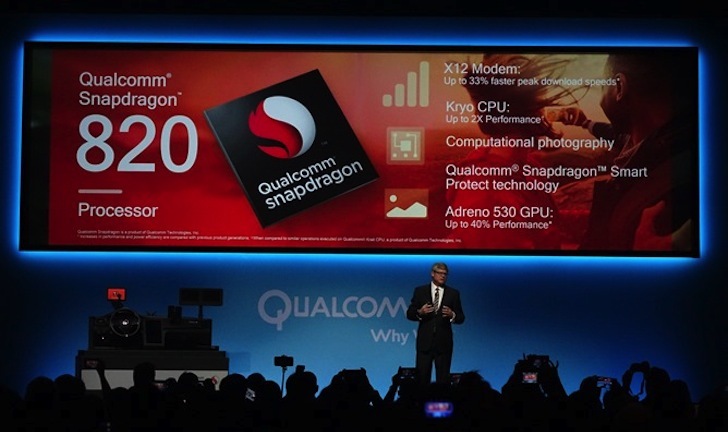 If the company had a hand in building the 820, it would sure go a long way to rebuilding the bridge with Qualcomm and including its processor in its flagships.